Models can be classified by nine model type pairs The pairs are shown in Table 2. It implies that all models belong to one of 512 classes, corresponding to all combinations of the nine pairs. 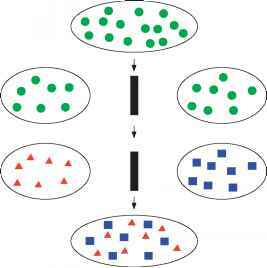 A model could, for instance, to illustrate this classification, be a research model, that is, deterministic, and at the same time a compartment model, that is, dynamic, nonlinear, causal, distributed, holistic, and spatial; or it could be a management model, that is, stochastic, and at the same time a compartment model, that is, dynamic, linear, lumped, holistic, and nonspatial.